I found out about Kim's book from, of all places, The Daily Show. I have included her full interview here for those interested. It gives you a small glimpse into the book, although Kim's shy nature on the show is a poor reflection of the emotional conflict and bravery shining through in her writing. She's clearly a writer, not a fan of the camera and the lights. Susan Cain would remind viewers, I am sure, to celebrate Kim's introversion. Kim's time in North Korea ended in almost exact conjunction with the death of Kim Jong-il and ascension of Kim Jong-un. It would have been fascinating to hear more about the time period directly following the death of the dictator or a current update considering how, if at all, the country has changed under his son. Of course, it seems highly improbable that Kim will ever be able to return to the country again after her secretive work and this published book. I felt Kim's synopsis of her experience expressed a beautiful depth and complexity of emotion. It's easy to see the conflict she felt over her time in the country, the people she met, and her plans to write this book. She goes back and forth about her students, though it's always evident that she cared deeply for them and hoped to teach them more than the government would have liked about the outside world. It was also interesting to read her perspective on the Christian missionaries she worked with. She was, after all, pretending to adhere to the faith in order to work at the school. Though she never really comes out and says anything bad about them, her worldview and goals for teaching in North Korea clearly did not always align with theirs. It was an interesting look at missionary life from someone on the outside who is not a subject of the intended evangelism. I have heard countless missionary stories within the church in my life, but never one from this viewpoint and I found it particularly fascinating. The book serves as another puzzle piece in the mystery that is North Korea. 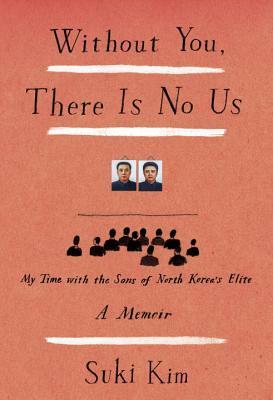 For anyone interested in life behind the 38th parallel, it is well worth the read. A Reduced Review: A glimpse into the lives of North Korean college students which leaves the reader feeling both hope and despair for those living in the socially quarantined country.